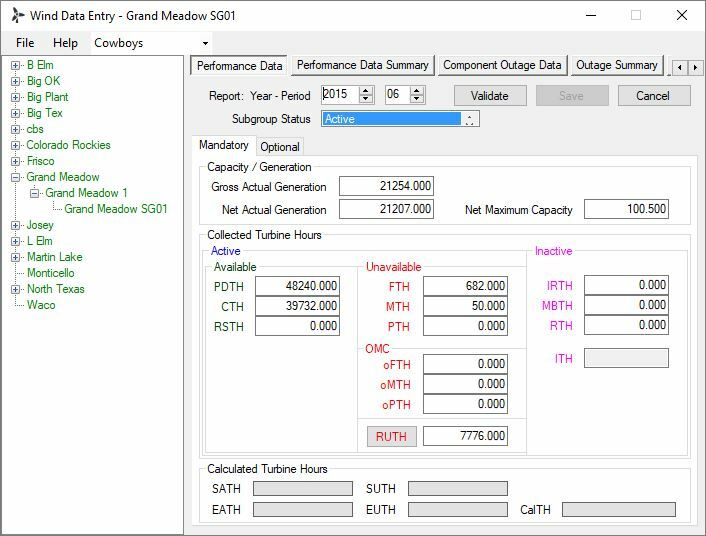 GADS/OS Wind allows you to collect and report validated data as specified in the NERC GADS Wind Turbine Generation ‐ Data Reporting Instructions (DRI) Version 2.0 (Revision Date: 10/30/2017 - Effective Date: 01/01/2018). The recommended standard installation is the 32/64-bit version (Steps 1 and 2 below) on the application server, shared drive, or user machine along with the appropriate 32- or 64-bit Prerequisites (Step 0 above) on the user's machine. The "administrative" application installation (Step 1) defaults to a different folder to separate it from the Source Wind Turbine Generation “user” application. If updating from a prior working install, just copy the GADSNG.XML file from the GADSOSWind folder to the GADSOSAdmin folder. 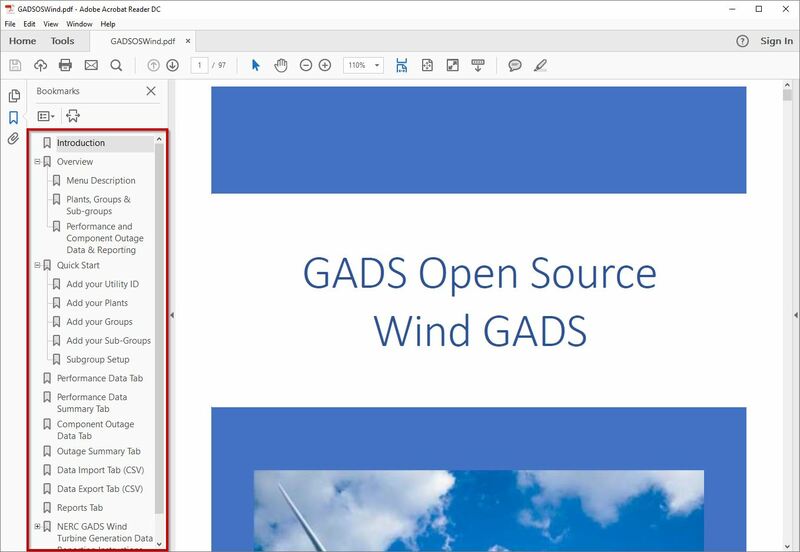 The GADS/OS Wind User Manual (a PDF file) replaces the usual Help files. 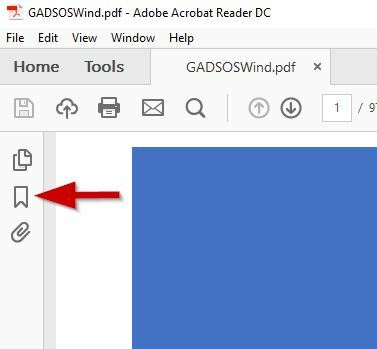 When selecting Help → User Guide in the GADS/OS Wind software, expand the Bookmarks in Adobe Reader as shown on the left: click the Bookmarks button on the left-hand side of the Reader to open the Bookmarks panel.